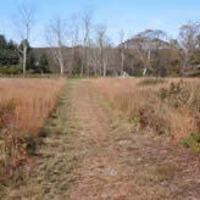 Join the Land Bank staff on a guided natural history walk of Southern Woodlands Reservation in Oak Bluffs. Meet at the Featherstone Farm trailhead off Barnes Road. The walk will be given rain or shine, so dress for the weather and wear sturdy shoes or boots. Please carpool, if possible, as parking is limited.